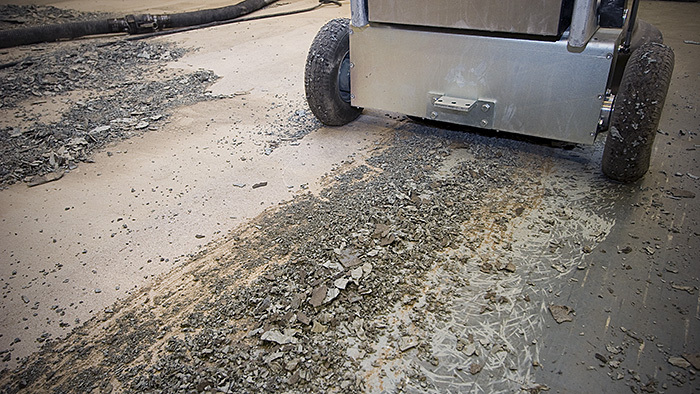 Using grinding you can remove any type of old flooring, level the concrete below and at the same time create a perfect surface for a new floor. Sometimes you need to remove old residues of glue after for example an old vinyl floor. Without proper equipment, it can be a very time consuming task to remove glue but with HTC’s concrete grinders and diamond tools it is quick and easy to remove glue. Read more about HTC's concrete grinders here. Concrete can vary in properties a great deal. 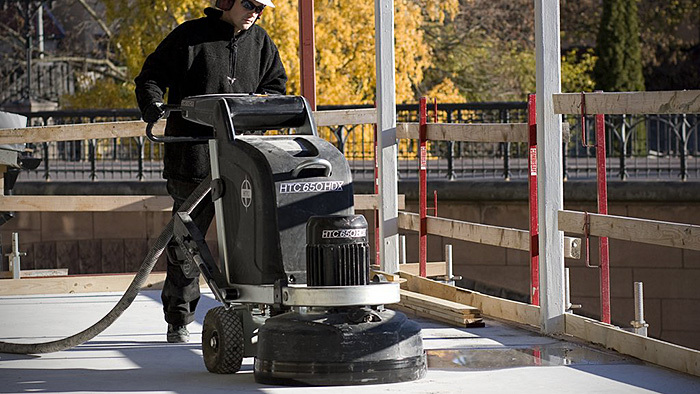 When you use a concrete grinder for hard concrete a segment with a softer bond than the standard type is required, to grind properly and avoid glazing. On the other hand, soft concrete requires a hard bond to avoid excessive wear of the tools. Therefore, always check the wear of the segments after a while, to see that no abnormal wear occurs. If so, try if another type of tool works better, with this specific type of floor and grinder. 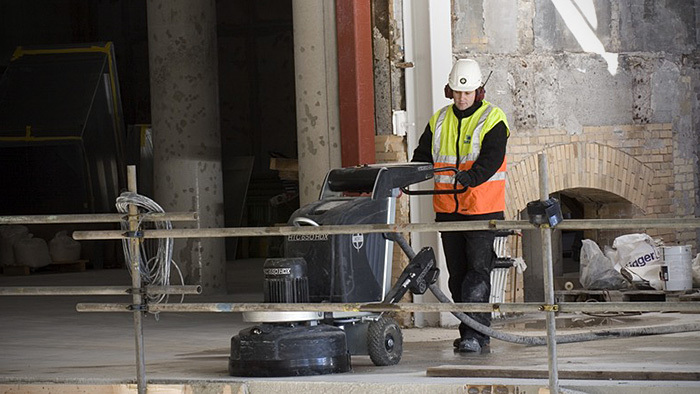 Before starting the concrete grinding, check the floor for bolts or other metallic obstacles and remove them, as they can destroy your segments completely. 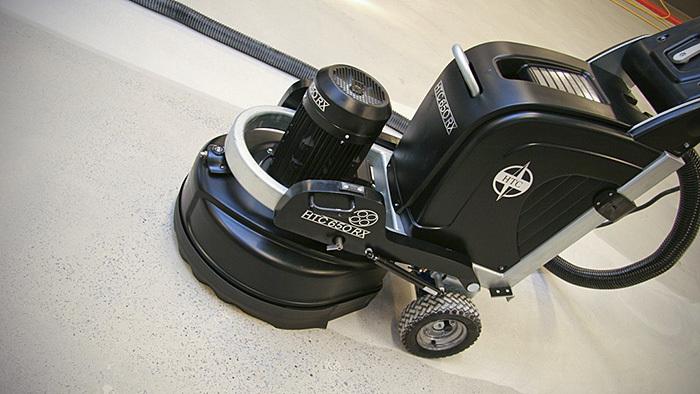 As a preparation for a carpet or thicker coating, a coarser single stage grinding is normally adequate and there we have a number of different suggestions covering all type of concrete. For thin coating or paint, a follow up with a finer segment is required. Alternative segments are available for different concrete properties there too. Finally, if you find an extremely hard concrete, causing glazing also with the correct tooling, try to wet the floor somewhat since damp concrete is much easier to grind. Check out our concrete grinding equipment under the Products section.